Having trouble accessing some databases? Try going through GALILEO first. Both LexisNexis Academic and HeinOnline are in GALILEO. Some are available only to the law school community so you will have to come into the law library. Be very careful using these resources. All means ALL and combined also means All. Limit under "Advanced Options" to specific courts or states and limit by date if possible. 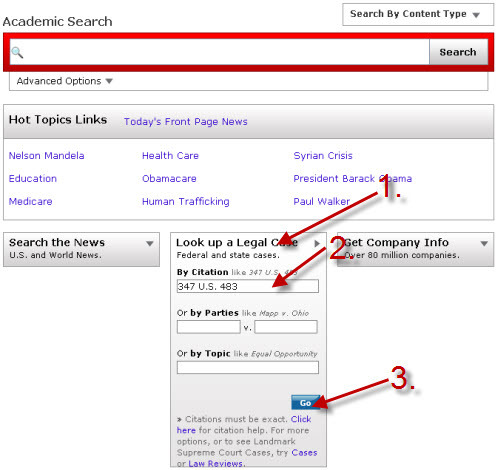 The LexisNexis Academic (LNA) service is a smaller set of the LexisNexis Research Service used by attorneys. It contains federal and state statutes, court opinions, and law review articles. LexisNexis Academic is available through GALILEO. You can login to GALILEO with your UGA MyID or with a password. Our contract with LexisNexis prohibits us from issuing individual LexisNexis accounts to non-law students. Review the policy. Go directly to the U.S. Code or CFR. You can also keyword search within the resources. ​The USCS is an annotated code. In addtion to the text of the statutes, it is supplemented with notes of decisions, law review articles, form books, and administrative regulations. Federal court opinion - Do you have a citation to a court opinion or the names of the parties? Shepardizing™ is a verb meaning to check the status of an opinion, statute, or regulation. As lawyers say, "Is it still good law?" The Shepard's Citations Service provides a comprehensive citation and treatment history for a wide variety of legal documents, unfortunately only court opinions are covered in LexisNexis Academic. Shepard's® Citations is accessed under "Search by Content Type"
View the LNA Guide to Shepard's Citations for instructions on using Shepard's. When you Shepardize® a court opinion, LNA provides a report showing every subsequent opinion where the initial opinion has been referenced and indicates how the case was treated by the later court. Most importantly, is the case "good law." If the case has been overruled, generally it may no longer be cited as a legal precedent. Shepard's can be very useful in expanding your research to find more recent opinions and law review articles. Despite the importance of primary sources most legal researchers start their research project with secondary sources. Remember that secondary sources are resources that describe, discuss, or analyze the primary sources. The secondary sources help the researcher find the most relevant or appropriate primary authority, they aid in explaining or interpreting primary authorities. For example, treatises, law review articles, American Law Reports annotations, Restatements of the Law, and looseleaf services are types of secondary authority. Basically everything that is not primary is secondary. 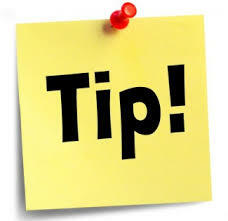 Before accessing any database to start your research take a couple minutes to do two things. 1. Identify the significant facts. The TARP Rule is a useful technique to analyze your facts. Employment - “public employee” "government employee" "supervisor" "workplace"
Environment - "clean water" "air pollution" "endangered species"
First amendment - “free speech" "limitation on speech" "freedom of religion"
Try to be as specific as possible. Legal dictionaries and legal encyclopedias are the best place to start. Note that under the red search box "Source" indicated the specific title you are searching. Encyclopedia - A legal encyclopedia can provide a good overview of an area of law and explain unfamiliar concepts. Law Review/Journal Articles - Law review articles are particularly good for new topics and in-depth examination of narrow topics. Be sure to look at the cases and statutes cited in law review articles. Use the Title segment; law review articles have very descriptive titles and a search term in the title mean the article is likely to be more relevant. Have you identified a relevant statute? If so access an annotated code. Annotated Code - An annotated code is a set of statutes supplemented with references to research resources. This includes notes of decisions, law review articles, form books, and administrative regulations. Go to "State Statutes and Regulations"
Select the check box for "Statutory Code"
Note that under the red search box "Source" indicates the specific states you are searching. Look for the Table of Contents for statutory material. If you retrieved a specific statute it can often be helpful to see what statutes come before and after. Get in the habit of checking the currency of any legal material. It's particularly important with codes and regulations because they are frequently changed. Know how the publication is updated and what is the date of the last update. Treatise - A treatise is a scholarly treatment of an area of law, it may be one or multiple volumes depending upon the broadness or narrowness of the topic. Treatises are very popular with attorneys and they will buy treatises relevant to their practice. Treatises published by LexisNexis are not part of the LNA subscription.